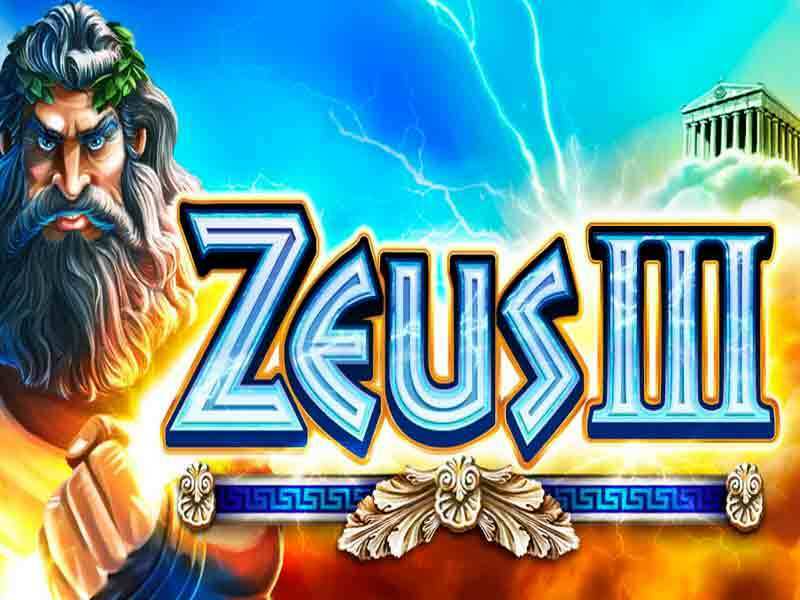 Zeus 3 is the third in a series of Zeus themed online slots games developed by WMS Interactive. This online slots game has 6 reels and 192 pay lines which may seem a bit too much for a game being played on mobile. However, this does not hinder it from being one of the best online slot games available. The first reel has two rows and the reels thereafter increase the number of rows by one as you move to the right. The symbols found in this game include Zeus, a helmet, a coin, a vase, a warship and the Pegasus. Zeus 3 is a video slots game that is available for playing online on mobile or desktop devices. The ‘Autoplay’ feature is available. Zeus 3 has two wild symbols; a single wild and a stacked wild symbol. The first one is the god Zeus himself which acts as a wild when he covers up an entire reel during the game. The second wild symbol is the Coliseum which can substitute for all other standard symbols in the game except for the scatter symbol. This is represented by Zeus’ hand gripping a lightning bolt. If you land the scatter symbol on reels 2 to 6, you get rewarded with a few free spins. 3 scatter symbols translate to 10 free spins; 4 scatter symbols get you 25 free spins and 10 times your stake while 5 scatter symbols get you 50 free spins and 50 times your stake. Get 5 additional free spins by landing 3 or more scatter symbols during the free spins. The scatter symbols will appear on all reels except the sixth one. Most wins come from the free spins feature. The key to winning in the base game is getting as many wild reels as possible. Get 3 or more wild symbols on 3 or more reels to get more wild symbols which in turn give more winnings. The game has a Return to Player rate of 96.1% which is very good. The reel structure is very interesting and will keep you intrigued all through the game. It may look a bit difficult to understand at first glance but once you get the hang of it and get to enjoy the free spins and bonuses, Zeus 3 is a game you will enjoy playing more often. The sounds featured in the game keep the drama alive and keep the game fun. The possibility of winning big during the free spins bonus feature make the game easy to play and the payouts much more for any gamer looking for a great experience on online game slots. For anyone who enjoyed the first two games that were similarly themed, Zeus 3 online slots game has more pay lines to increase your winning chances, allows for a much wider array of budgets and larger wins. Play Zeus 3 and other popular WMS games for free at online casinos today and have some fun. 0 responses to "Zeus III Slot"